With all the attention focused on the poor play of the defense, it’s easy to overlook the regression of the offense in recent years. Despite the greatness of quarterback Aaron Rodgers, that side of the ball was pedestrian at best for a 20-game stretch from October 2015 to November 2016. And for the past two months, we all witnessed how things ground to a halt without No. 12 under center. While nowhere near as stale as Dom Capers’ decrepit defense, the offense could certainly use a little freshening up. Head coach Mike McCarthy and coordinator Edgar Bennett have been together for a dozen seasos, and it shows. The downfield passing game pretty much consists of three wide receivers running isolation routes and then Rodgers extending plays long enough for one of them to finally get the slightest bit of separation. Meanwhile, 31-year-old rookie head coach Sean McVay has transformed the Rams’ offense from plodding to dynamic by moving receivers and backs all over the place in order to create favorable matchups. And offensive coordinator Josh McDaniels is doing similar things in New England. Quarterbacks Jared Goff and Tom Brady are able to sit in the pocket and often choose between multiple open targets. 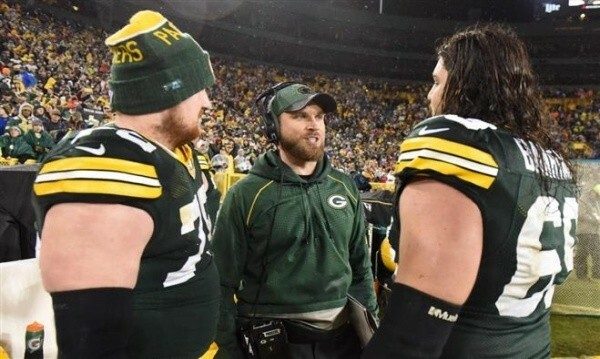 It’s time for the Packers’ offense to move into the 21st century, and fortunately, there may already be an assistant coach on staff ready to take them there. David Raih, whose job title of offensive perimeter coach would make even The Office’s Dwight K. Shrute laugh out loud – has a background that screams creativity. The 37-year-old native of Minnesota began his coaching career under Rick Neuheisel at UCLA in 2008 and then worked for Mike Leach disciple Kliff Kingsbury at Texas Tech in 2013. And while neither of those men will ever be confused with Bear Bryant, both presided over very innovative and very explosive offenses. McCarthy made a mistake by giving up play-calling duties in 2015, but the mistake was who he gave the job to and not the decision. Tom Clements, who was 62 at the time, had been with McCarthy for nearly a decade. He wasn’t going to bring anything new to the table. But Raih just might, as long as McCarthy gives him the freedom to do so. 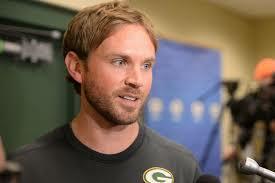 And the way Rodgers has raved about Raih in the past, he probably should. Do I expect this to happen? Absolutely not. Bennett probably isn’t going anywhere, and even if he does, quarterbacks coach Alex Van Pelt – who played under McCarthy at Pitt in the early 1990s – would likely be promoted. Besides, this offense has always been McCarthy’s baby. It would take truly innovative thinking to give up control to the unproven Raih, and that’s something McCarthy has shown little of in the past. 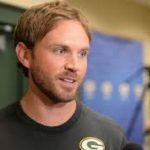 If the Packers don’t give the personable Raih a lot more responsibility in the next year or two, some team is going to hire him away in the very near future. The success of the Rams will have general managers and head coaches around the league looking for the next McVay. Ironically, that guy could be sitting right under McCarthy’s nose. Unfortunately, the overwhelming stench of staleness might keep him from ever noticing.